Everyone has walked into a business at one time or another and smelled something not quite right. Whether it was an unpleasant odor from the restroom, an overpowering cooking smell in the kitchen or even a moldy scent from dirty carpets, a business owner has to keep on top of disturbing smells that might chase away business. Discretion, please. Business owners don't want customers to see mouse traps and ant poison lying around, so it goes without saying that they shouldn't want to advertise air fresheners, either. Customers should be able to breathe in the fresh scents of the business at hand. For a floral shop, that would the natural, intoxicating scent of freshly cut flowers. For a bakery, warm cupcakes and sweet treats coming out of the oven. For a grocery store, tempting rotisserie chickens. You get the idea. Even a retail store should smell like it is clean, like a load of fresh laundry coming off the clothesline. The point is to make the scent pleasant and notable without necessarily being noticeable. Take action. If odors are a problem, invest in a high quality odor neutralizer. These work to eliminate nasty odors, not just cover up their scent. A top-notch product will be able to completely get rid of unpleasant smells in locker rooms, smoking spaces, garbage areas, bathrooms and kitchens with ease. Look for an odor neutralizer that will be able to handle both airborne and surface smells. Set it and forget it. If foul odors are on ongoing issue, consider a metered air freshener dispenser. These can be discreetly attached to a wall or placed on a counter. Every 15 or 20 minutes or so, they will release a burst of scent so that the odor quotient in the business remains steady throughout the day. Customers won't be able to identify where the smell is coming from, they will just be subconsciously pleased by the business environment and able to focus on the goods or services they plan to purchase. Take a natural approach. One of the least expensive ways to achieve an odor-free business is to simply open up the windows. A fresh breeze can do wonders for a stagnant smell and often contributes to a welcoming atmosphere. While this isn't always prudent in extreme climates or polluted inner cities, sometimes just airing out the room on a sunny day can do wonders for the business odors as well as the soul. Also consider adding indoor plants to your business environment. 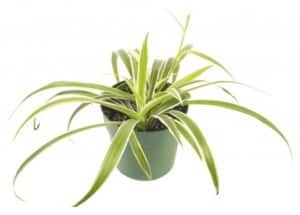 Indoor plants naturally filter the air and require very little upkeep. Most survive in low light conditions and naturally filter out harmful components of polluted air. Check http://en.wikipedia.org/wiki/List_of_air-filtering_plants for a list of common houseplants and the pollutants they remove. Keep it clean. Odors can hibernate in the soft surfaces of a business, such as in the carpet, window treatments and table linens. This is especially true in areas like hotel rooms where the windows may not be opened frequently to eliminate those lived in odors. That's why it is really important to remove dust, steam clean carpets and wash linens on a regular basis. Some ideas to get your routine started: Take out all the trash at the end of the day, wipe drains and sinks clean of food particles, rinse out the coffeepot and make certain all the toilets are flushed at closing time. Don't flush money down the drain. If the business is food-based, it is crucial to purchase an odor eliminating product that contains powerful enzymes to tackle organic waste and greasy odors. Enzyme cleaners naturally work on organic materials as long as the area remains moist, making them the perfect choice for smelly drains and garbage disposals as well. Soak it up. Occasionally business owners will have to deal with some of life's worst odors like sour milk, urine and vomit. Accidents happen and businesses should be prepared at all times. For these particular smells that are combined with a spill, look for an odor absorbent product. These can be sprinkled on the mess to soak up the liquid and absorb the odor at the same time. They are a great choice for hospitals, schools, medical facilities, retail stores and many other types of businesses. Use the power of smell. There is a reason why real estate agents advocate that homeowners bake bread or apple pie before a home showing – smells evoke memories and put us in a good mood. If your business has a signature product that is associated with a specific smell, emphasize that to increase sales. Perhaps open the doors as the burgers are sizzling on the grill or have a clerk offer customers a spritz of perfume as they approach the cosmetics counter. Another way to embrace scent is to light a flameless candle, place some fresh flower bouquets on the counter or light a fire in the fireplace. This entry was posted in Bathroom Maintenance, Drain & Septic Maintenance, Odor Control and tagged air freshener, deodorant, enzomatic, metered, odor, power scents. Bookmark the permalink.